SurfBouncer's servers are hosted at some of the largest data centers in the world –located in America, Central or South America, Canada, Africa, Europe, Australia and Asia. They are extremely reliable and fault tolerant. SurfBouncer operates hundreds of servers, isolated from each other, to provide this fault tolerant security. If a data center were to go down, other servers in different centers would still be up to handle the traffic. All of your data travels, encrypted, from your computer directly to SurfBouncer's secure servers. From there, it is forwarded to its final destination across the internet. Nobody, including SurfBouncer, can see your data on the secure connection. Their Personal VPN service uses OpenVPN, a time tested and secure open source VPN client. Some highly restricted networks block nearly all VPN activity. For this type of situation, SurfBouncer offers the Stealth SSL VPN service. The stealth service looks like a regular, secure web page when it connects. Just about every network allows this traffic. Because of this, the Stealth SSL service can get through where others cannot. The IP address of this service changes daily, making it even more difficult to block by restricting the IP address of the server. SurfBouncer offers packages ranging from $3.99/month to $31.99/month depending on your needs. Download the SurfBouncer configuration file from the link in the welcome E-mail sent to you after your account setup. If you ever need to change your server, please request a new config file from SurfBouncer or see instructions HERE. Find the file that you downloaded that was provided to you by SurfBouncer. Once you have uploaded the file. Enter your SurfBouncer Username . 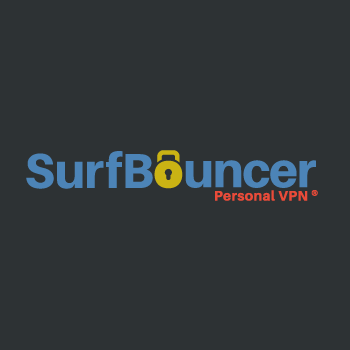 PPTP service is included with your Personal VPN subscription and setup instructions are included in the SurfBouncer welcome E-mail sent to you after your account setup.